Harold L. Eachus, of ­Salunga, passed away Thursday, April 7, 2011 at Lancaster General Hospital in his 76th year. Born in Coatesville, he was the son of the late William H., Sr., and Edna Mae Moffet Eachus. Harold worked for York Waste Disposal Corp. for 21 years, retiring in 2002. He was a member of New Life ­Assembly of God Church. He enjoyed gardening, cooking, hunting and fishing. Surviving are: 3 daughters, Terry Lynn Eachus-Grant wife of Kurt Grant of Centerville, Penny Ann wife of Charles Binkley of Lancaster, Shelly wife of John Rumberger, of Cooperstown, NY; a son, William H. husband of Cindy Bechtold Eachus of Neffsville; 15 grandchildren; 14 great-grandchildren. Also surviving are: 3 sisters, Mary Keros of New York, Clara wife of John Magluilo of Lancaster, Sarah Charlotte wife of Hobert Jones of North Carolina; 2 brothers, Wilbert husband of Grace Eachus and Robert Eachus, both of Honey Brook. He was preceded in death by: a daughter, Cindy Lawson; a great-granddaughter, Kyrstin Eachus; 3 brothers, and 2 ­sisters. 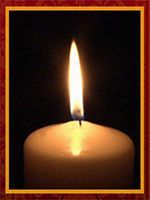 Funeral services will be held from the New Life Assembly of God Church, 1991 Old Philadelphia Pike, Lancaster on Monday, April 11th, at 11 AM with interment following in Millersville ­Mennonite Cemetery. Friends may call from 10 to 11 AM at the church on Monday. If desired, contributions may be sent in memory of Cindy Lawson to Hospice of Lancaster County, P.O. Box 4125, Lancaster, PA 17604-4125, or to Share of Lancaster P. O. Box 1976, Lancaster, PA 17608.